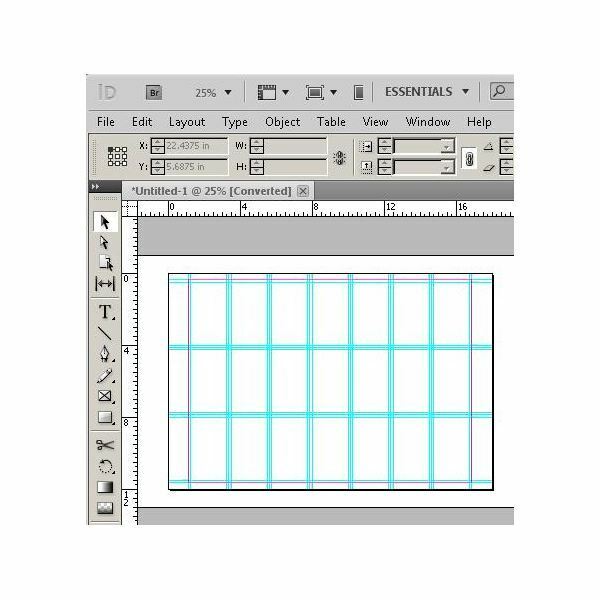 The first of the blank InDesign business card templates you should have comes from Adobe.com. Keep in mind that to download files from Adobe you will need to be logged in with your Adobe ID first. The 10-Up BC template by Ken Lasley prints 10 business cards on a sheet using your choice of 8.5" x 11" paper. The template opens directly into Addobe InDesign and presents a 10 up layout complete with pre-filled text and graphics. All you have to do is substitute your own material, save the layout and either print yourself or prepare to have it professionally printed. You can save the changes you make as a template so you can reuse them over and over again or you can save your changes as an ordinary Adobe InDesign file. Using this template, you will have your business cards ready in a jiffy. Another popular one of the many InDesign business card templates is also found at Adobe.com. This template helps you quickly produce 2" x 3.5" business cards based on your own design. This template is supplied by a user, mistacabbage, who makes this template available to you for free. This template downloads to your computer in compressed (.zip) format. After expanding the file into its own folder, you will be able to open it in Adobe InDesign, quickly add your content and then send it out to print. Of all the InDesign business card templates around, The Paper Mill Store always has some rock solid alternatives. There you can always buy special paper to use for printing your business cards, but the template files are free, so you can use your own stock if you desire. Available templates include 3.5" x 2" (horizontal) single, 2" x 3.5" (vertical) single, 4* x 3.5" folded, 10 per sheet, rounded corners, and more. To get the template you want, just click the "InDesign" link for either PC or Mac near the template you want to use. Back to the Adobe Exchange Web site, you can find non-standard InDesign business card templates such as this one that fits 21 2" x 3.5" business cards on a single 12" x 18" sheet. When you click the download button at Adobe, your browser will download the template file in standard format. 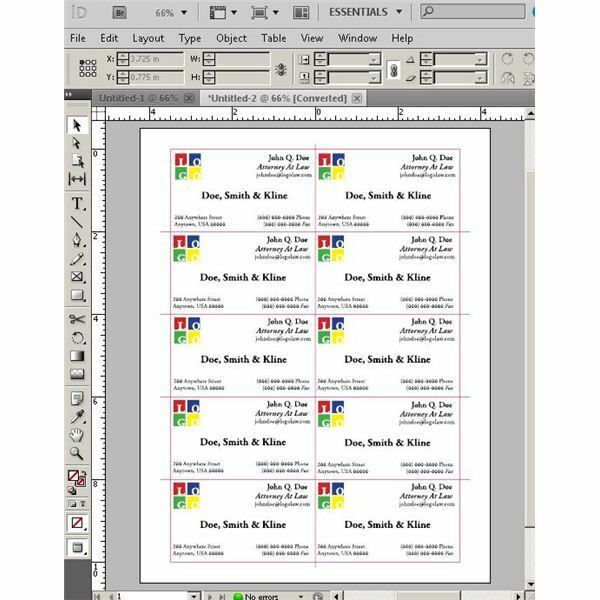 The template can then be opened in InDesign where you can create your business cards. The 4 up BC w/ Bleed template by Mikel Sorenson is another one of the top InDesign business card templates. It features embedded instructions that help make sure you get perfect business card prints with bleed every time you try. 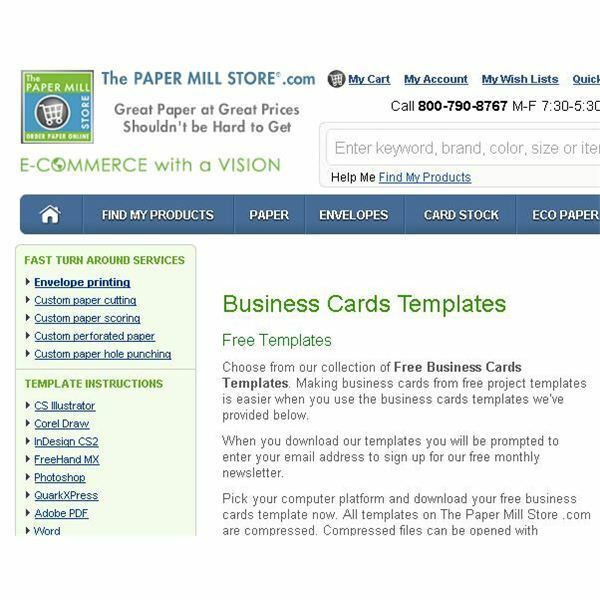 This template prints on a custom page size to produce business cards that stand out from the rest. This Adobe InDesign tutorial showed you five of the top blank InDesign business card templates that you can choose from as a foundation for the next business cards you create. When you find the one you like, you can save even more time by customizing it into a new template geared for your clientèle.